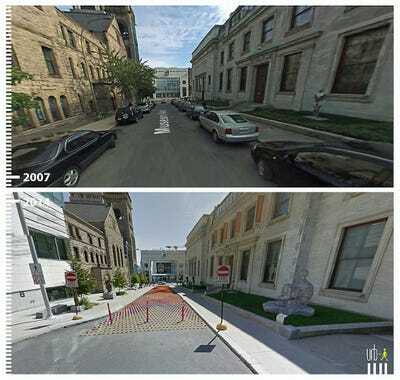 Google Street View turned 10 years old last year. 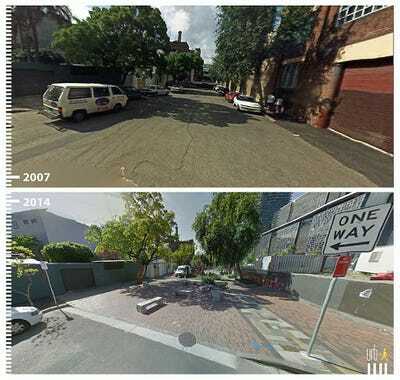 The technology allows people from anywhere in the world to explore landmarks, natural wonders, and even their own front yards. 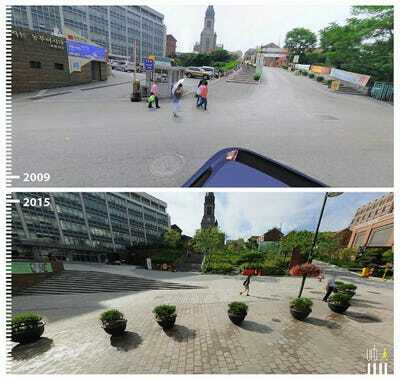 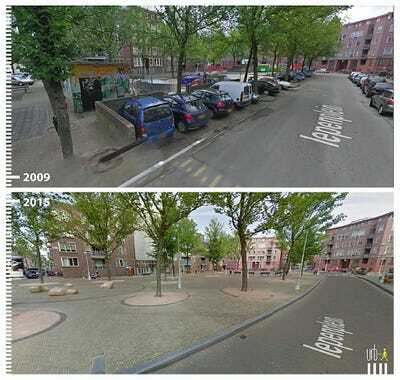 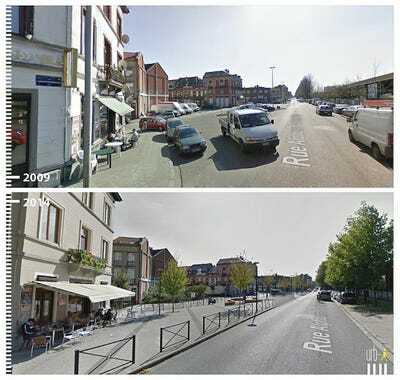 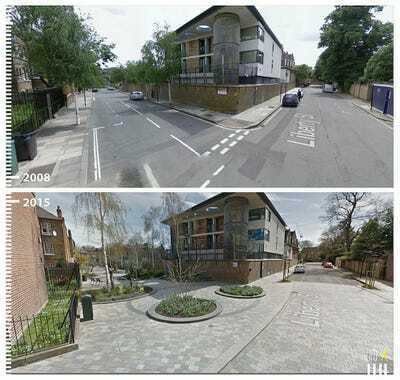 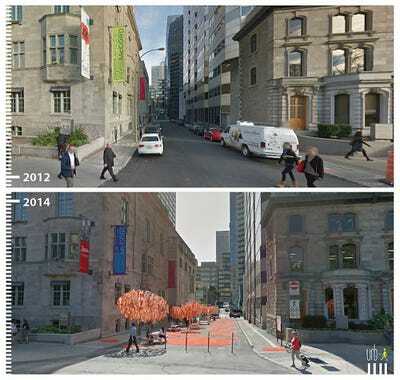 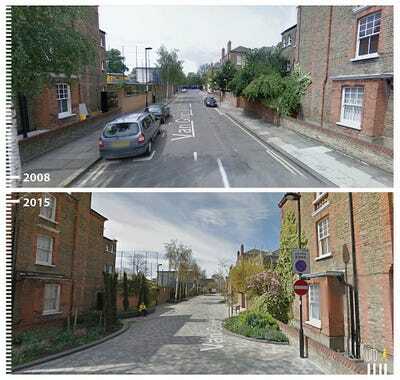 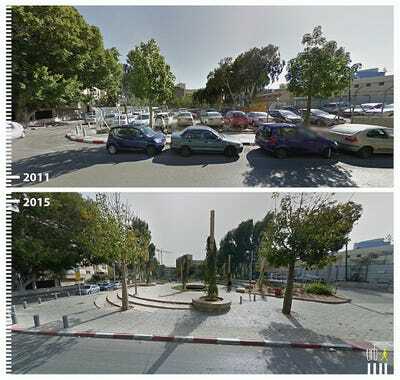 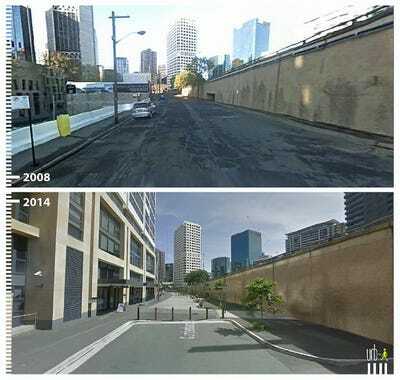 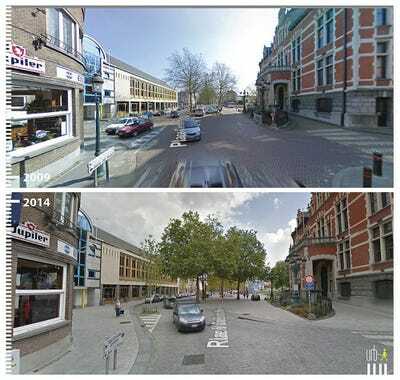 Over the years, Google Street View has captured some spectacular public-space makeovers: A parking lot became a park, a crosswalk got the cobblestone treatment, a footpath was stretched out. 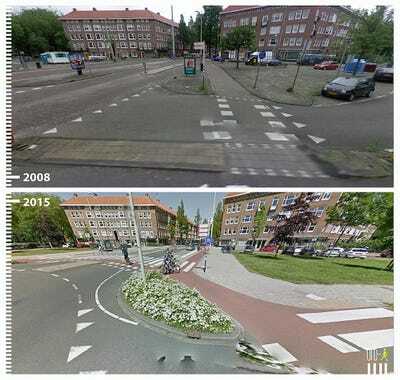 In the life of a pedestrian, these changes — big and small — make a big difference. 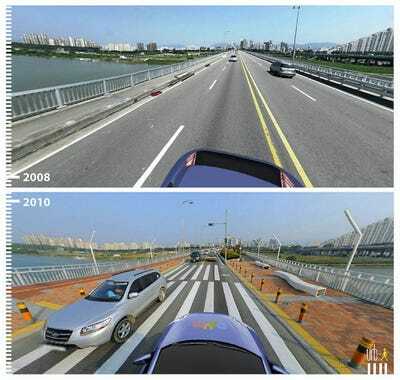 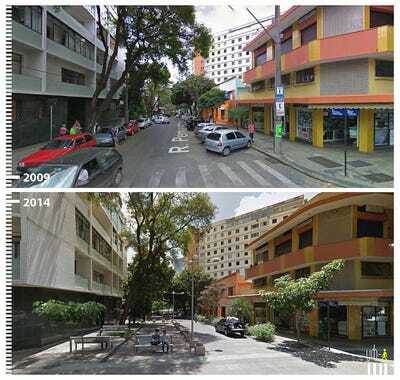 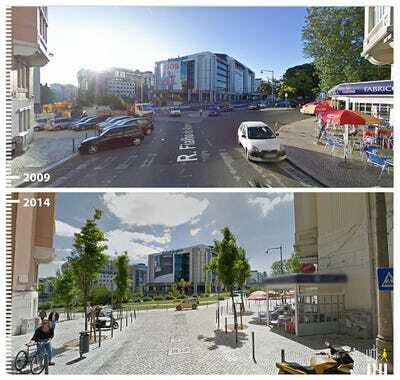 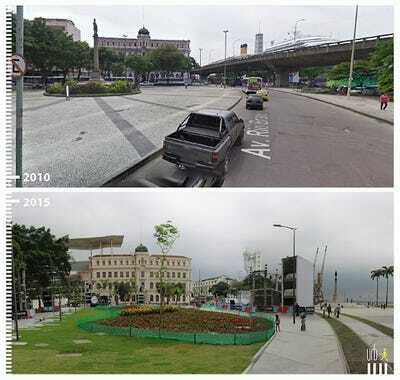 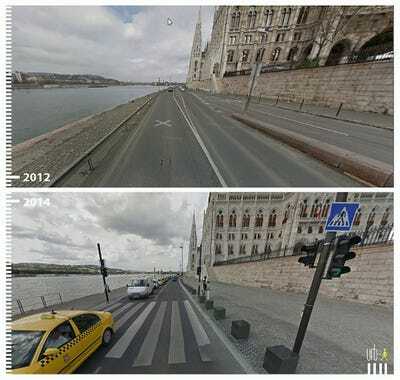 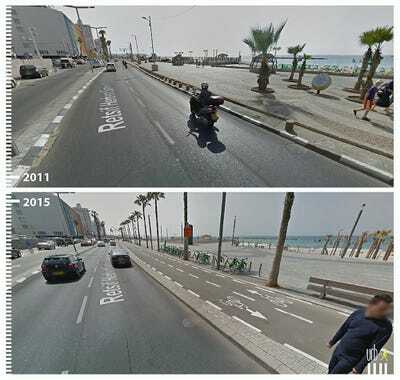 In 2015, a Brazilian urban planning collective called Urb-i (shorthand for Urban Ideas) set out to show examples of these transformations with an inspiring before-and-after gallery of Google Street View images. The gallery has racked up 3,000 images from over 50 countries. 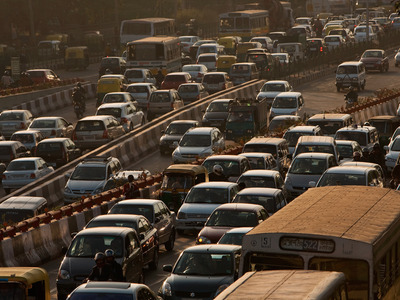 We are a society 'addicted to cars,' according to the four young founders of Urb-i. 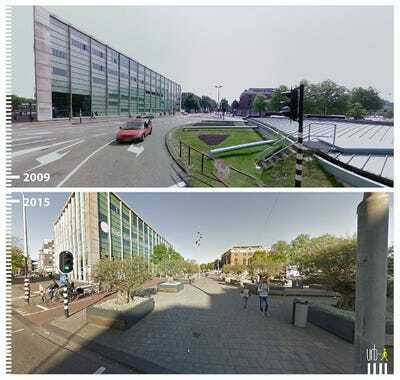 Yuval Fogelson spends hours diving into the search engine's rabbit hole, scanning the world for stunning public space redesigns that favour pedestrians over vehicles. 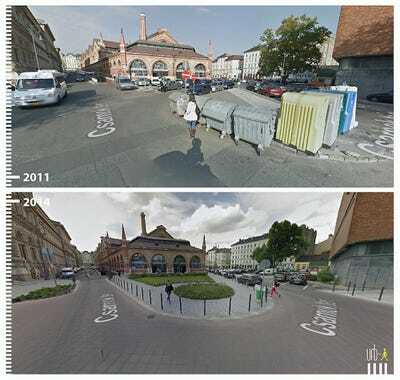 Urb-i began curating the images in a gallery, hoping to showcase public spaces that put pedestrians -- and cyclists -- first. 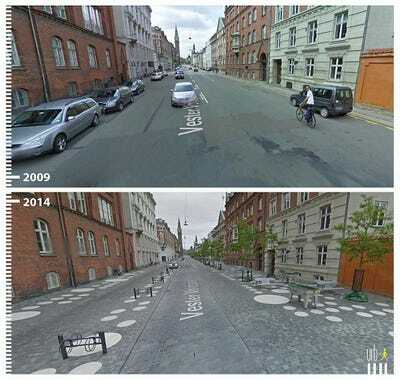 'I have already developed a few strategies to finding these transformations, and quite frankly, I'm addicted,' says Fogelson. 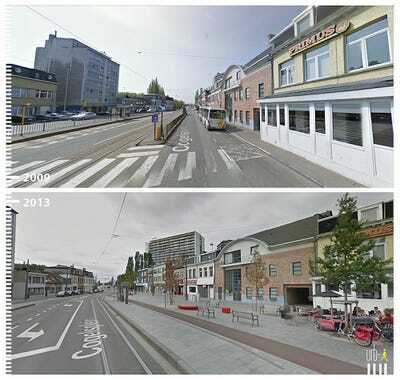 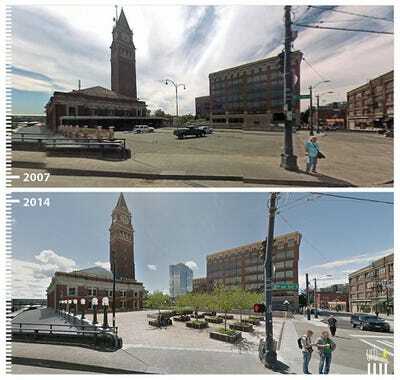 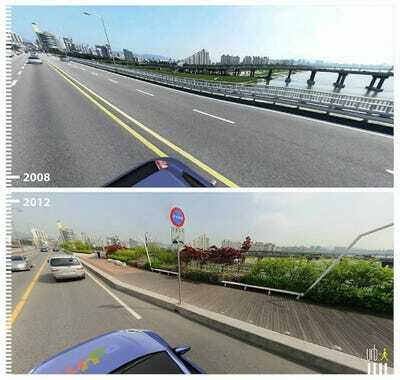 Today, Urb-i's before-and-after gallery contains more than 3,000 public-space transformations from around the world. 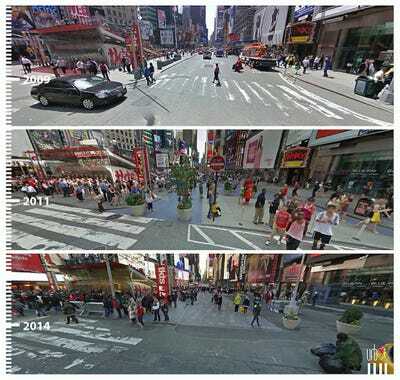 The makeovers vary in scale. 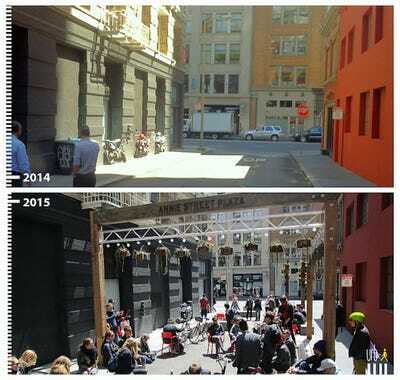 This alleyway in San Francisco is nearly unrecognizable after getting an outdoor seating area installed. 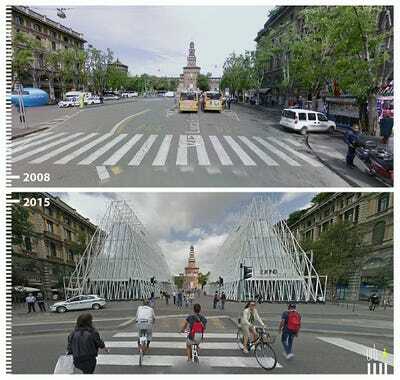 Two pavilions made of glass and steel jazzed up this street in Milan, Italy. 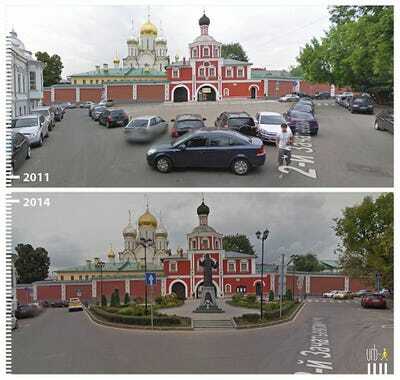 A ticket office and a cultural event space operate inside. 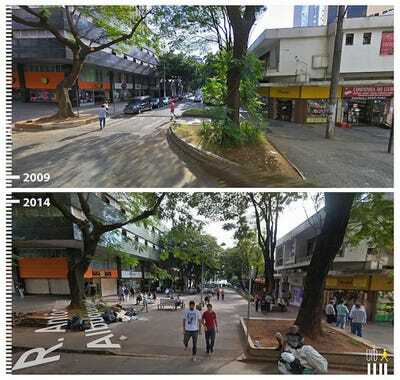 Archways added some decadence to a side street in Singapore. 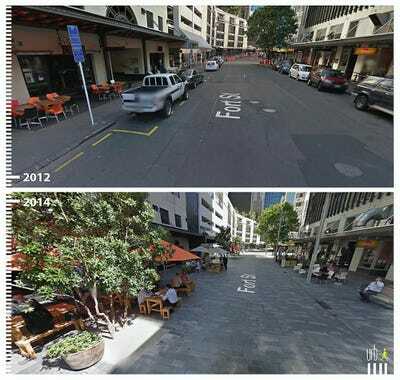 Sometimes all it takes is a footpath. 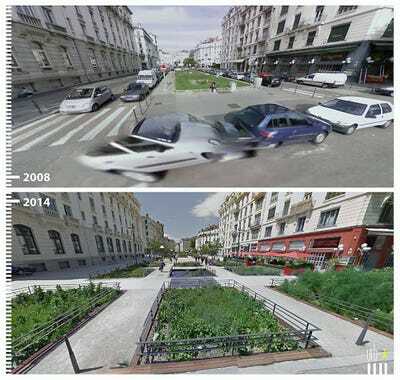 'For the pedestrian, an extra meter or two of footpath means a whole lot,' Urb-i says. 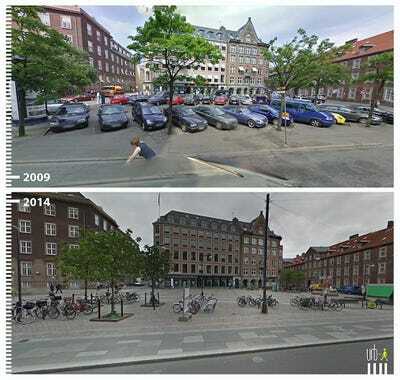 But walking space isn't the only thing that matters. 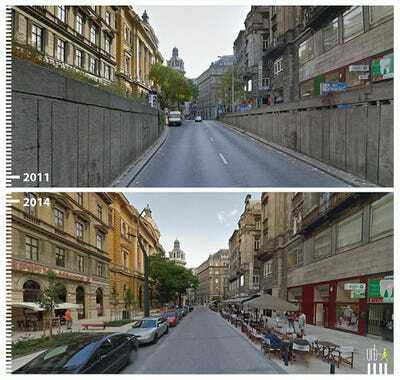 A little greenery went a long way in Budapest, Hungary. 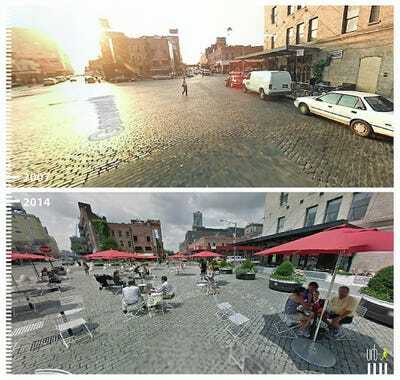 Designers get creative with pavement, too. 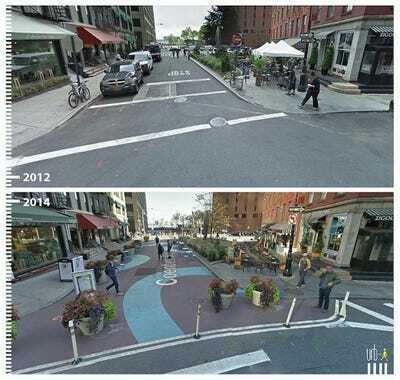 A semi-circle pattern spruced up a public space in Lower Manhattan. 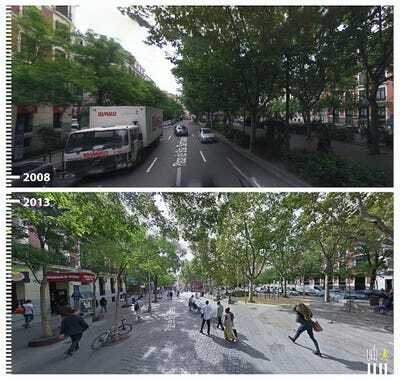 Madrid, Span, got its own, star-studded walk of fame. 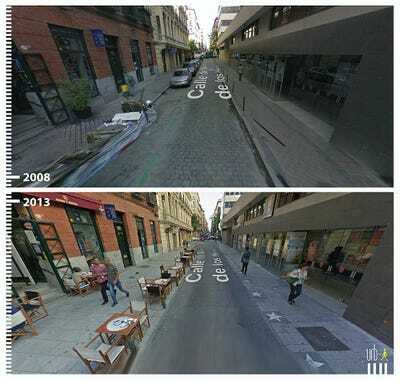 Across town in Madrid, a public space got the cobblestone treatment. 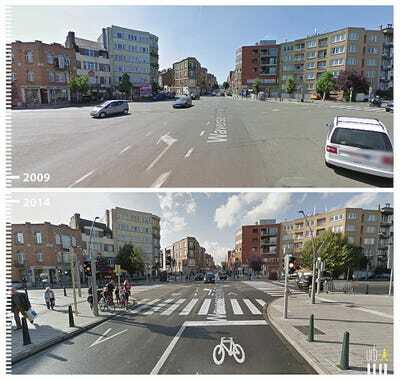 A main artery in Brussels, Belgium, got a bike lane for safety. 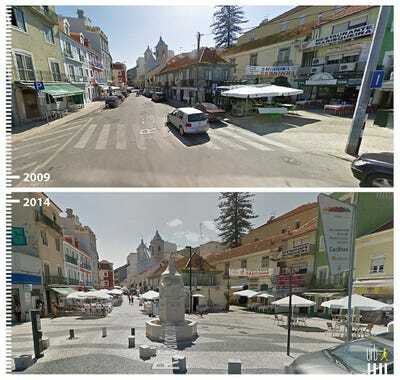 Not far away in Lisbon, Portugal, pedestrians and motorists seem to share the space, instead of competing for it. 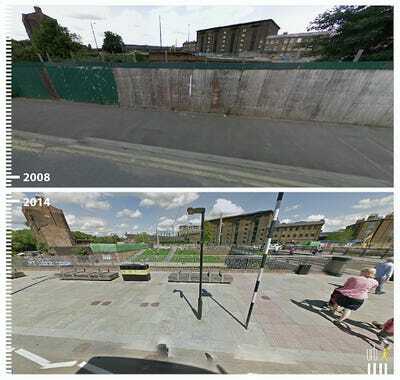 London's Granary Square got a face-lift. 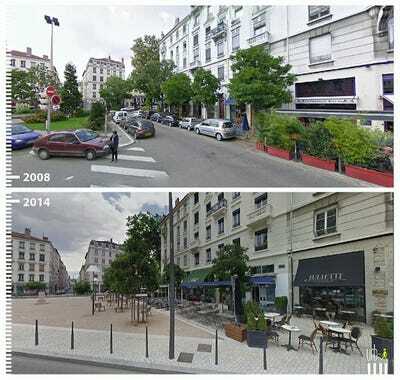 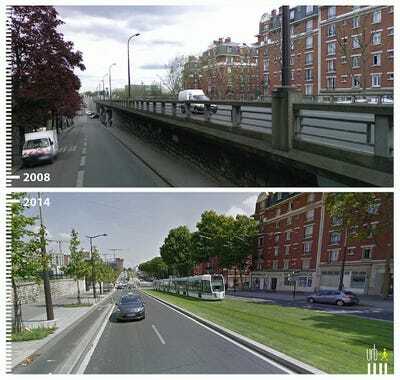 Paris, France, swapped a roadway for public transit, giving pedestrians a whole new view. 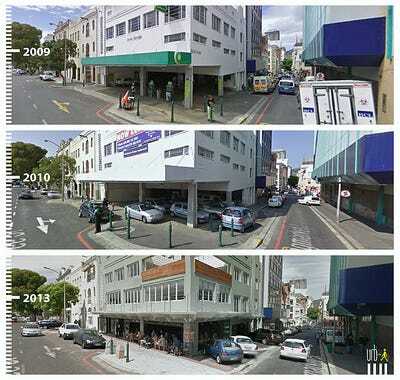 A gas station became a parking lot, then a restaurant, in Cape Town, South Africa. 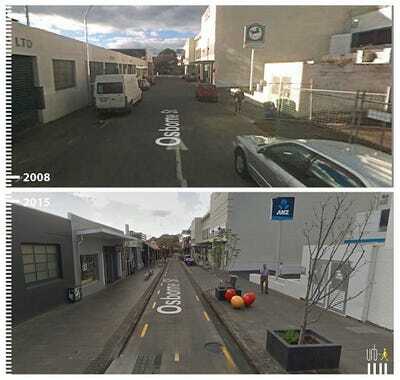 Bree St., Cape Town, South Africa. 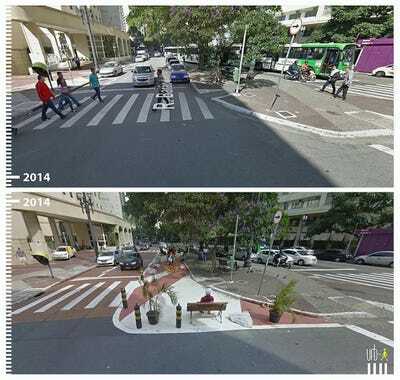 A bustling street in Belo Horizonte, Brazil, was turned into a tranquil walkway. 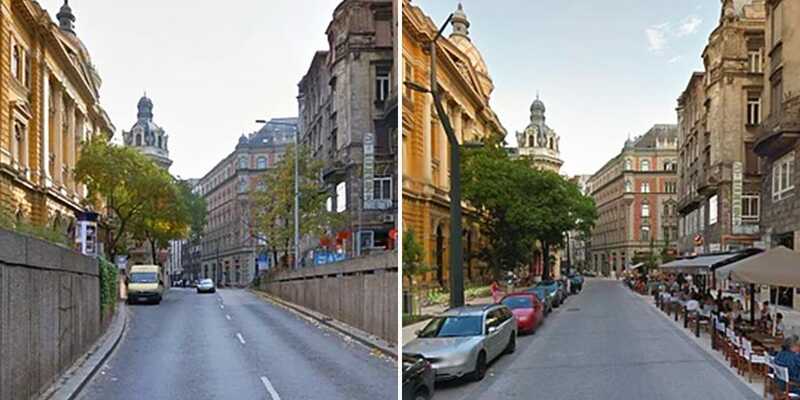 We might even call this an excessive amount of footpath in Budapest, Hungary. 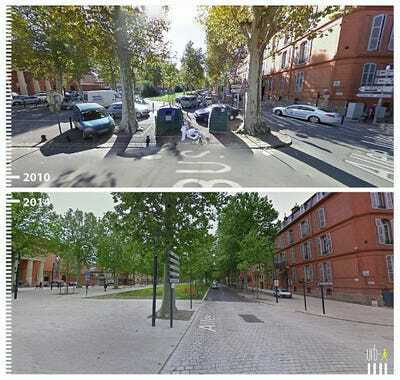 Over in Toulouse, France, a park took the place of a parking lot. 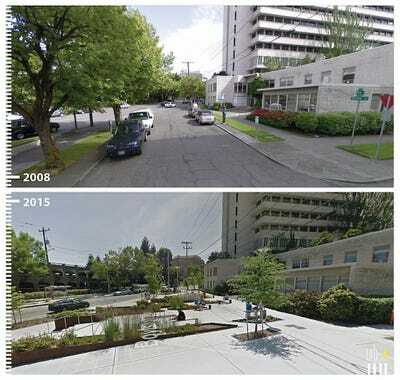 'We are seeking to create a bottom-up network which will connect professionals, residents, designers, and hopefully decision-makers,' Fogelson says.